Bitcoin Bonus is one of the first bitcoin faucets I tried a few years back. And that’s when I really started getting serious about cryptos. What convinced me of using this completely free bitcoin faucet is the use of their common wallet: Coinpot. Because it allowed me to aggregate all my earnings in one spot, which was easier to track and easier to withdraw. But I’ll get back to you on that one later in my Bonus Bitcoin review. Join a network of faucets to claim more often and more conveniently. While it claims to be the highest bitcoin paying faucet of the web, I believe that Cointiply has now earned that title. But don’t leave just yet. Because BonusBitcoin has a lot to offer! And you’d regret not getting your share of free BTC. First of all, you need to sign up and get a Coinpot wallet. Because all the payments are made directly to your account there. Maybe a word on Coinpot, a cryptocurrency wallet designed to collect and combine your payouts and earnings from different sources. The wallet in itself supports several cryptos: BTC, DOGE, and LTC. And it’s relatively safe – it’s not a hardware wallet but you can enable 2FA for increased security. Now that you’re all set, you can start claiming your free coins! Simply solve the reCAPTCHA and click on the Claim now button. And you can claim quite often: Every 15 minutes! On this point, it’s better than FreeBitco.in, where you need to wait 1 hour between each claim. However, you won’t be getting much more. While you can randomly receive up to 5,000 satoshis per claim, if you’re lucky, the average payout is about 44 satoshis… And this depends on the current BTC/USD exchange rate – you’ll get updated info when you log in. Let’s take a look at the claim setting now, below the claim button. This platform allows you to decide if you want to get the average payout every time you claim. This removes the random payout, so you won’t get your 5,000 satoshis. And you’ll never get less than the average amount. I think it removes the fun of a faucet and I’m not checking this box. But if you want to earn more, that may be an option. What else does Bitcoin Bonus have to offer? If you like to play dice, then you can multiply your earnings and earn some more free bitcoins. However, last time I checked, the feature was not available. I think it was only temporary as it said to try again later. Lastly, you can do offers and surveys. On this page, you can find many ways to earn more. Click on a banner and discover how to get more bitcoins while waiting for the next claim. There are links to other faucets, ads watching, surveys, etc. Basically, these offers will reward your time with some free bitcoins. 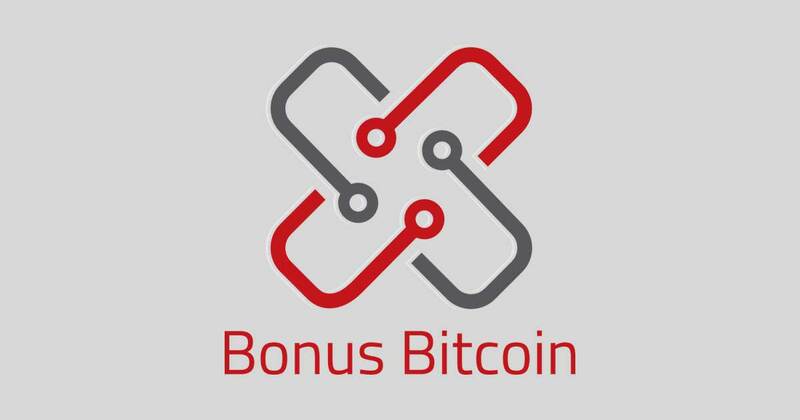 Do you wonder why Bonus Bitcoin is called Bonus Bitcoin? Then I have the answer: Because they’re boosting your earnings via bonus schemes. And they’re giving a daily 5% bonus of the total of all faucet claims and commission earned over the previous 3 days. All you have to do is make at least 1 claim every day and you’ll automatically get your daily bonus. How to earn on Bitcoin Bonus? As I said in the first part of my Bonus Bitcoin review, you’ll need to sign up and create a Coinpot wallet. You can do so anonymously, by filling out an email address and a password. Then solve the captcha and click on Register. And confirm your email address by clicking on the link in the email. First, head to the faucet page and claim your satoshis. Then I’d recommend claiming from the other faucets first. I like to have a routine where I visit each faucet linked to my Coinpot account to maximize my earnings. So you can go to Moon Bitcoin and Bit Fun, among others. And after that, you can decide to play dice and check their offers. Finally, you can withdraw your earnings as soon as your balance reaches 0.0001 BTC (10,000 satoshis). Withdrawing is free and you’ll just have to make a request and click on the link in the confirmation email. And within 48 hours, they’ll send your bitcoins to the address of your choice. And if you want to share the word about Bitcoin Bonus, there’s an incentive with their referral program. Indeed, they offer a 50% lifetime commission when your friends and colleagues sign up using your referral link. So each time one of them make a claim, you’ll get a reward! Is Bonus Bitcoin a scam? No, it’s not. It’s just another company that distributes the money it receives from advertisers to its users. If you ask me more about the company, I must admit I couldn’t find any details on their site… But they’re paying out. And have always been from what I could collect online. For me, it’s just one of the best faucets of 2019. And you’d really miss out if you didn’t get the free money from this platform. Because combined with the other faucets linked to Coinpot, it can really help you build your crypto empire! That’s all for now. I hope you enjoyed my Bonus Bitcoin review and that it helped you make up your mind about this popular faucet. If it’s popular, there’s a reason: It delivers. And if you ask me is Bonus Bitcoin legit? My answer is yes, probably as legit as the other top faucets out there. So I’d say: Sign up now. And spend some time collecting a few satoshis here and there. The sooner you start, the better! When you sign up and create a Coinpot wallet, you know what's going to happen: You're going to claim more and earn more. But without the hassle of multiple platforms.